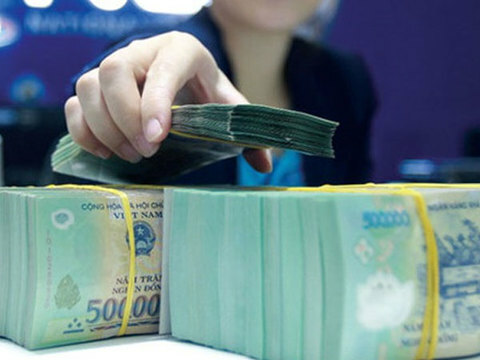 Liquidity in the interbank market has been abundant, helping the State Bank of Viet Nam (SBV) resume the issuance of treasury bills after five months to withdraw Vietnamese dong from the banking system. Reports from Saigon Securities Incorporation (SSI) showed the SBV withdrew VND17 trillion (US$729.6 million) via the issuance of seven-day bills at interest rate of 3 per cent per year. Though the SBV withdrew up to VND162 trillion in the last five weeks, interest rates on the interbank market steadily dropped, especially during last week. The rates sit at 3.3 per cent on overnight loans and 3.4 per cent on one-week loans, down 68 basis points and 65 basis points against the previous week, respectively. It was reported the SBV has net bought the dollar to date this year to build up the country’s foreign reserves. SBV data showed that after buying $6 billion last year, it purchased another $4 billion in the first two months of this year thanks to the available US dollar supply in the domestic market. On the secondary market, bond yields increased by nine basis points on one-year bonds and by one to three basis points on 10-year to 15-year bonds. The current bond yields are 2.98 per cent for one-year bonds, 4.75 per cent for 10-year bonds and 5.07 per cent for 15-year bonds.